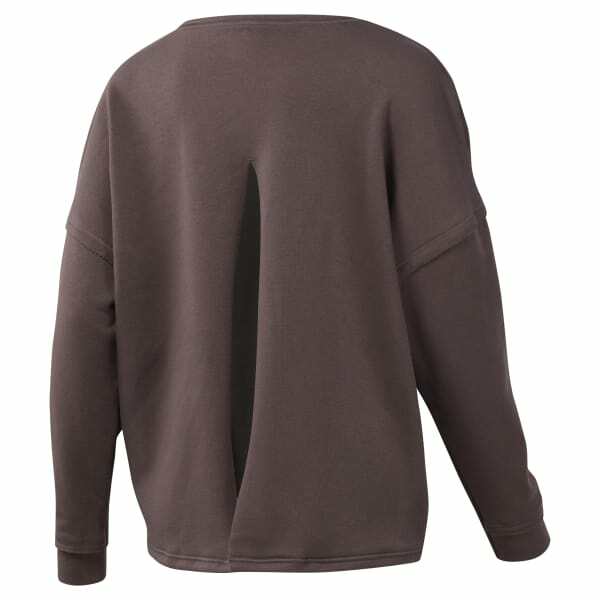 Slip this women's oversized crewneck sweatshirt over a slim tank or sports bra for a layer of soft warmth and coverage. A roomy silhouette and longer length help bring a balanced look on top of yoga pants or leggings. The open back detail adds some studio-savvy ease to your style.